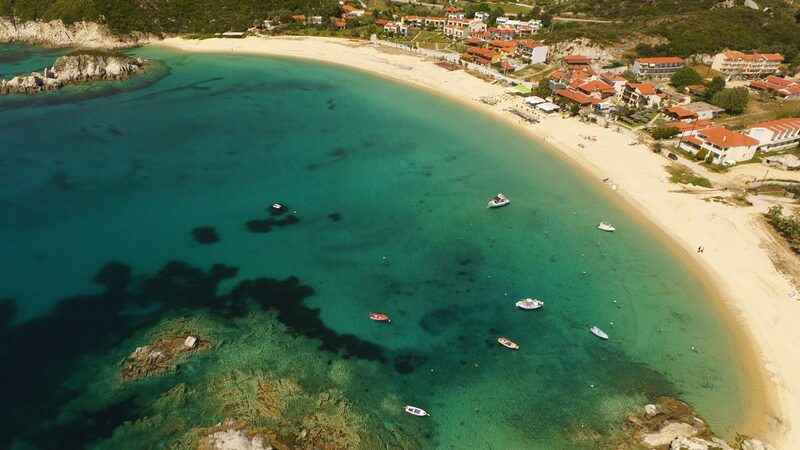 Kalamitsi is the darling resort town on Sithonia’s southern tip. Kalamitsi may be a small player, but it still packs a punch! Kalamitsi is truly a place to escape from the world. Everything to do in Kalamitsi centers around its three pristine beaches. Similar in nature they are still very different. All three are about the same size, have the same perfect sand and are ideal for swimming. The best way to describe their differences is like the three colors on a traffic light – green, yellow and red. Green (go): The main Kalamitsi beach is open to everybody and is well organized. Yellow (yield): The camping beach. Stop at the gate and pay entrance to continue and use the facilities. Red (stop): You got it, the nudist beach. No organization and depending on your comfort zone you might want to stop before going down that path. Sithonia is where people come to blend with nature and Kalamitsi’s wild environment is just the perfect place to do it. For years tourists have come to Kalamitsi to liberate themselves from the traditional hotel and opt for an Eco-vacation in the form of camping. What can be more appealing than walking out the door of your beachfront caravan to take a midnight swim as the light of the moon dances on the gentle waves with the mighty Mount Athos as a backdrop. Camping in Kalamitsi enables you to be a part with the spectacular natural surroundings. The happy campers on the Kalamitsi nudist beach north of the village have discovered this and give a whole new meaning to the expression ‘free camping’. Diving centres are becoming more abundant in Sithonia with Greece now having the reputation as one of the world’s best places to learn how to dive. With no less than 20 dive sites, Kalamitsi is considered one of Northern Greece’s best diving destinations. 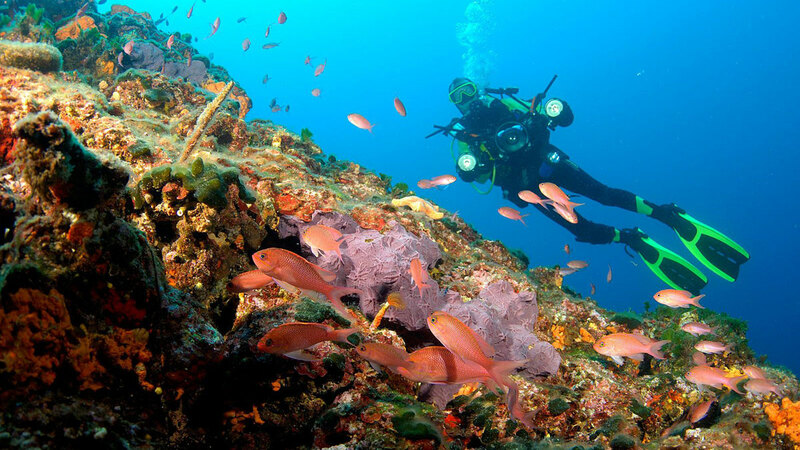 Just outside the Kalamitsi bay exist many great dive sites that will intrigue even experienced divers. The 100 year old Turkish ship wreck is Halkidiki’s only ship wreck dive and a good place for underwater photography. There are also some more challenging dives such as the caves, but don’t miss Kalamitsi’s favourite diving site called Big Rock, few sites in Halkidiki compare and you may even cruise along side dolphins! As already mentioned, all activities in Kalamitsi are in connection with the beaches and the sea. While Kalamitsi will give you rest there is surprisingly a lot to do. Look below for ideas how to relax and how to play. We can honestly say that nothing in Kalamitsi is far. It will take you longer to read this page than to walk from the furthest hotel to the beach – Kalamitsi is truly a one horse town. Only half of the main beach in Kalamitsi is organized. The few restaurants and beach bars occupy a section of beach (about 100 m) and organize sun-beds and umbrellas for their clients. This is where many visitors spend their days lounging and working hard on their tans while sipping on a frappe or beer as payment for the bed. This routine is broken up only by the odd dip, swim or lunch break which is all of 10 meters away. Those who are more independent take advantage of the free beach area. They throw down a towel in the sand and perhaps bring their own cooler box with all necessities to help put them into beach bliss. Kalamitsi is very calm… we guarantee your first days here will be spent right here on the beach. For those who dare to break out of their comfort zone and leave the beach bar there is enough to do in Kalamitsi so let your hair down and go wild. The most popular activity hands down is scuba diving, if you are here for a week then you have plenty of time to get your PADI. Snorkelling can easily be enjoyed even by children around the protruding rock just off the beach. The camp site has lots of animation and is organized for almost any sport and even has concerts. From the Kalamitsi town beach you will find organized water sports such as jet ski and canoe rentals. If it’s more thrill that you are after, how about getting towed riding the big banana! If you are in Kalamitsi, you probably have a car and are free to explore the area. 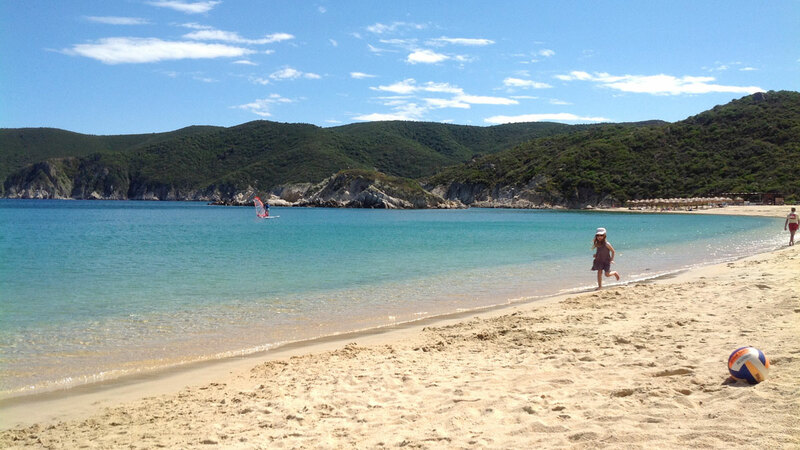 Just north of Kalamitsi is Kriaritsi beach — one of Sithonia’s top 10 beaches. A little difficult to reach, but definitely worth an afternoon. From Kriaritsi beach, head north on the maze of undeveloped roads and you will come upon a treasure trove of five small but fantastic beaches all organized with beach bars and restaurants. This road will lead you to the gigantic ‘Blue Flag’ beach in Sykia. Moving south of Kalamitsi a few kilometres out of town you will pass the Panorama restaurant that definitely lives up to its name. While drinking a coffee or eating a meal from here you will enjoy what is no doubt Sithonia’s best view, Mt. Athos in all its splendour is guaranteed to put on a show.